Chain disc conveyors by Chain-Vey offer numerous options in components in order to accommodate thousands of possible applications. 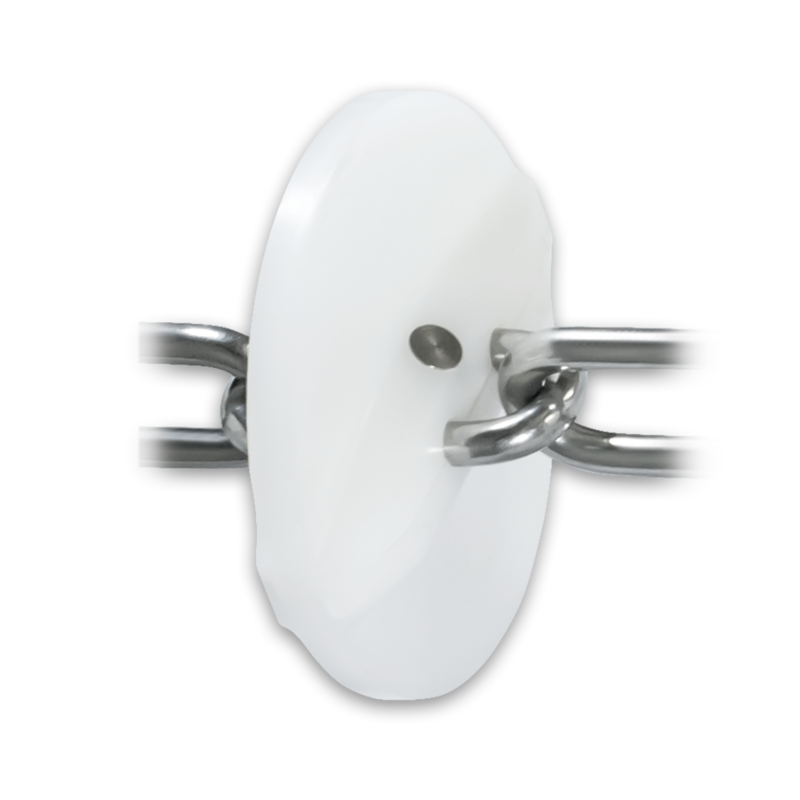 For discs, Chain-Vey offers three designs: the all-around performing Quiet Pucks, High-Efficiency Pucks, and Molded-On. For chains, stainless steel and carbon steel are both available. "The clean in place Chain-Vey really saves me a lot of time compared to my other conveyors." —John Smyth, World Spice Co.
316 stainless steel provides optimal protection against corrosion. Stainless steel is ideal for moisture rich applications. Carbon steel chain provides tremendous strength and value that is ideal for most low moisture applications. The Standard Quiet Split Discs provide low friction, enhanced geometry for quiet gliding throughout the system. They are split disc design, meaning two halves are tightly joined together by compression rivets. Extra Thick Split Discs provide low friction and reduced motor amperage, ideal for certain applications which your sales engineer can explain more about. They are split disc design, meaning two halves are tightly joined together by compression rivets. Molded-On Discs provide low friction and high efficiency. The are a seamless design without at crevice for ultra-high purity applications. The contain no rivets. Twisting in a chain only happens when the chain is not installed properly, which takes at most a few extra minutes of care when installing. Once the chain is installed correctly, it will never twist.